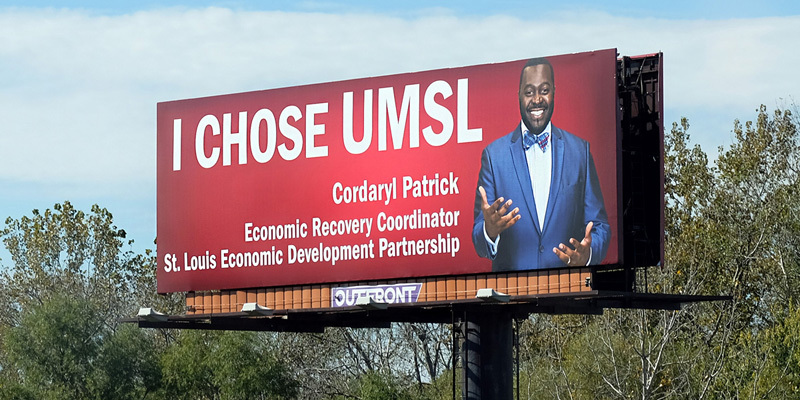 Cordaryl “Pat” Patrick, who has worked in the strategic initiatives division at the St. Louis Economic Development Partnership for nearly two years, is currently featured in a University of Missouri-St. Louis (UMSL) billboard campaign throughout the St. Louis region. Since Sept. 25, Patrick has been along Interstate 44 near Jamieson Avenue (north side, facing east). Through Nov. 6, he will be along Interstate 70 at the Blanchette Bridge (south side, facing east). Through Nov. 26, Patrick will also appear along I-44, nine blocks west of Highway 141 (north side, facing east) and along I-70 in St. Charles, just west of the Missouri River (north side, facing west). 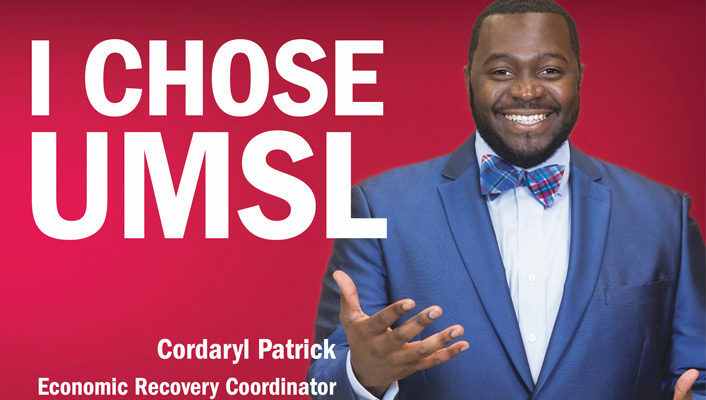 Patrick, who serves as the Partnership’s economic recovery coordinator, spends nearly all of his time and energy in the St. Louis Promise Zone. 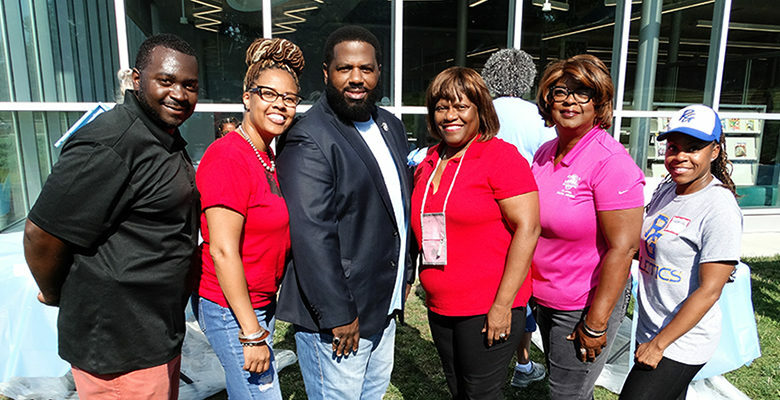 His specific focus is daily operations with business owners in the St. Louis County municipalities of Ferguson, Dellwood and Jennings. 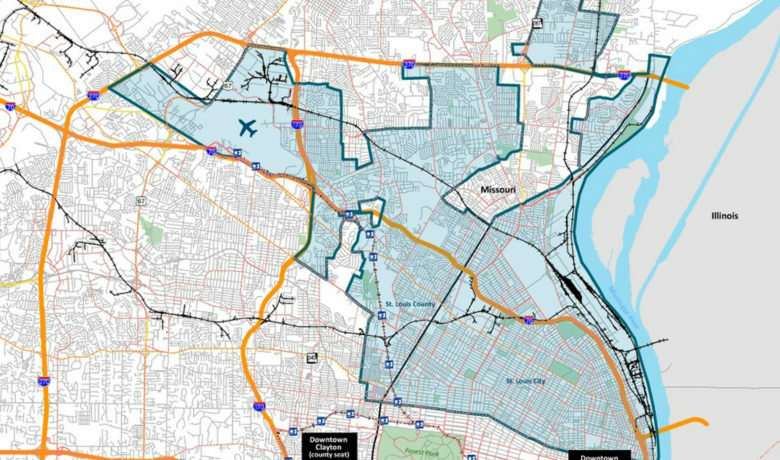 The Promise Zone, which carries a federal designation, works to increase economic activity, reduce serious/violent crime, improve educational outcomes, create sustainable, mixed income communities, improve health and wellness and increase workforce readiness. UMSL is one of the most culturally and ethnically diverse campuses in Missouri, with approximately 17,000 students from 44 states and more than 100 countries. It is located near the intersection of Interstates 70 and 170, just six miles from Lambert International Airport. Patrick earned a master’s degree in public policy from UMSL in 2011. The Mississippi native has earned several accolades in his career, most recently picking up an honor from North County Incorporated (“30 Leaders in Their Thirties”). 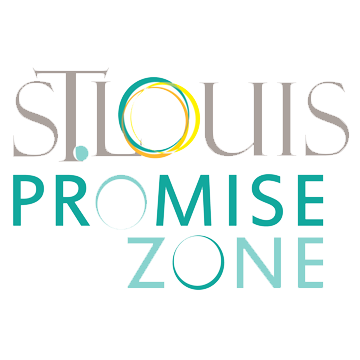 Enter your e-mail address below to receive updates from the St. Louis Promise Zone.